I usually stop reading at verse 8. The passion and courage of Isaiah’s response is inspiring. Cue the music. Fade to black. The End. Reading further I realize God’s mission for Isaiah is incredibly painful and difficult. The people have not listened and will not listen. They will receive the consequences of their choices- destruction and exile. In time, God grace will bring forth life from the stump which remains. I am struck by how Isaiah’s call to action differs from the calls of Moses and Jeremiah. Their encounters with God are solitary and rather quiet. They hesitate to accept, making excuses about their speaking skills. (Moses makes many additional excuses) In response, God supplies what is needed to fulfill the call. God uses their names. God’s attention is clearly focused on them. Who am I that you would notice me? That you would cleanse and forgive? That you would ask for a messenger… a helper? That you would accept my willingness to serve? Your consideration only increases your glory. I marvel at your grace. Day 21 of the Whisper Reading Plan is set aside for worship and rest. Jesus raises up the unnamed Centurion as an example of great faith. In one translation, it says Jesus “marveled” at the centurion’s response, a reaction that is found nowhere else in Scripture regarding Jesus’ impression of a human being’s faith. This man had massive faith. Unwavering faith. The huge surprise of this story is that this faith is found outside the expected place- in a Gentile warrior for the Roman oppressors. The Centurion has been awarded worldly power and position, yet approaches Jesus with great humility. He recognizes his position with the governing authorities does not name his position with the ultimate Authority, God. Jesus taught his followers to love their enemies, to pray for those who persecute them, and to do good to those who mistreated them. The kingdom of God advances not with weapons, but with kindness, grace and mercy. 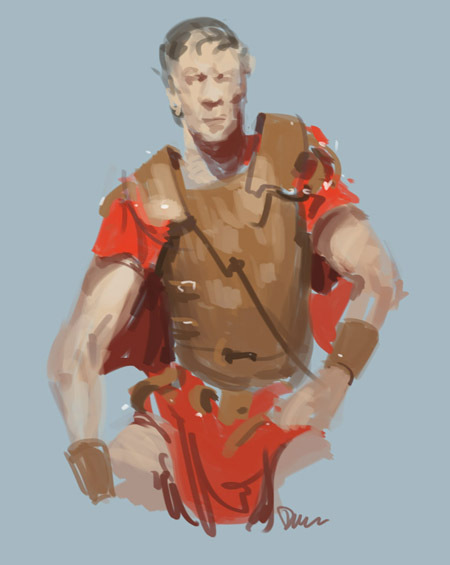 He did not hesitate to hear the Centurion’s plea and was willing to enter his house. Likewise, the Centurion is willing to cross enemy lines- social, economic, and racial lines- to see his servant receives help. The Centurion commands his troops and household, yet approaches Jesus with a servant heart. He seeks Jesus not for himself, but for his servant. The Centurion recognizes the value and humanity of this person even though his culture does not. The Centurion has been raised to mistrust foreigners and foreign gods, yet approaches Jesus with great trust. Even with all the stumbling blocks placed before him, the Centurion still cultivates a just-say-the-word faith in Jesus. This depth and maturity of faith is available to all who follow Christ. I have no excuse except myself for falling short of this. Click here for a powerful prayer entitled I am Not Worthy by Steve Garnaas Holmes based on Luke’s version of this story, Luke 7:1-10. This story is sometimes referred to as the sacrifice of Isaac; in other places it is called the sacrifice of Abraham. It is one of the most powerful and disturbing stories in all scripture. God instructs Abraham to sacrifice Isaac, his long awaited child of promise. Isaac was to be the first of a great nation; of countless descendants. “Like the sand on the shore…like the stars in the sky… a blessing to the nations” God said. How would this happen if Isaac was dead? Abraham does not seem to question. He moves forward with purpose, obedient, full of faith and resolve. Isaac asks about the offering for worship, and Abraham replies, “God will supply the lamb.” (verse 8.) Is his voice strong and confident or does it crack and catch with emotion? Does Abraham wonder if Isaac is the lamb God has provided? We do not know. What else was said? Again we do not know. The two fall silent as the altar is built, Isaac is bound and laid upon the wood. Rembrandt’s portrayal of the climactic moment is especially poignant. 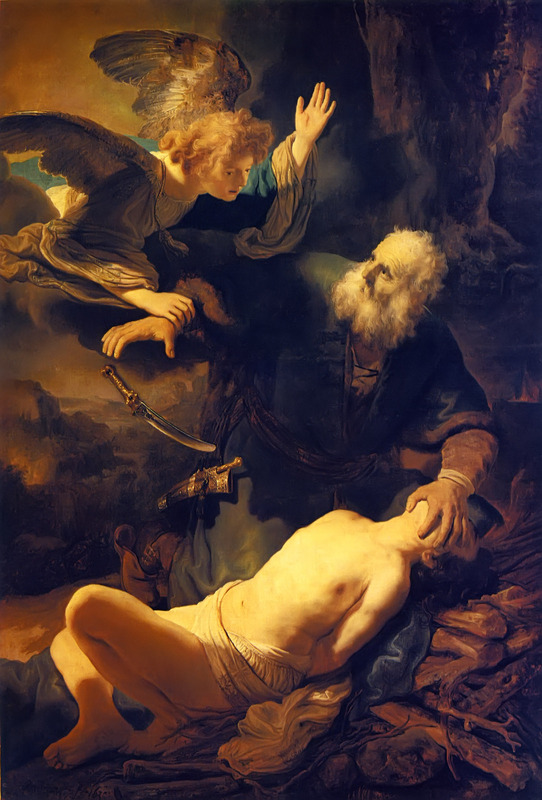 Abraham’s one hand exposing the neck of his beautiful, innocent teenager, wearing only the clothing of an infant; the look of surprise on Abraham’s face as the angel grabs his other hand, releasing the knife. Abraham has passed God’s awe-full test. Abraham proves his devotion to God surpasses all else in his life. Three times Abraham says, “Here I am.” (verse 1, 7, 11) He is fully present to God and to Isaac; quick to listen and quick to respond. The stress of the situation does not distract him. Mighty God, what will you ask of me? How will you test me? In that moment I pray I will be found worthy. That I will know beyond all doubt the command is from you. As you read, you are encouraged to use the SOAP Method for keeping a spiritual journal, as taught at New Hope Christian Fellowship in Hawaii. For more information on this simple and powerful way of engaging the Word of God, please click here http://www.lifejournal.cc/ or use the simple instructions provided in the reading plan itself. Elkanah has two wives, Peninnah who bore him children and Hannah who has no children. Peninnah is cruel to Hannah, while Elkanah tries to be loving and supportive. (Though he sticks his foot in his mouth in verse 8.) Hannah desperately desires children, so she throws herself before God in fasting, weeping, and prayer. She makes a vow to God that if she bears a son she will offer him to God’s service. She is so distraught, that when Eli the priest observes her prayers he thinks she is drunk. She defends her actions and Eli offers his support and blessing. Later Hannah conceives and fulfills her vow, bringing little Samuel back for Eli to train and raise. This is a difficult passage for me. Hannah and I share experiences- wife, mother, victim of verbal abuse, desiring to follow God faithfully. Her pain reminds me of those times in my life when I haven’t understood God’s plan. When I have seemed insane because of the desperation. At first glance, God seems as cruel as Peninnah. Peninnah is obviously cruel with her taunts, yet God seems equally cruel to shut Hannah’s womb. Is God the cause of every barren womb? If we say yes, then it is an easy jump to say God is the cause of every barren and hopeless situation, of every disease and disaster. I do not believe this. I believe we live in a broken world with several causes of trouble. Some are tied to God’s gift of free will, the consequences of our own choices and/or the consequences of other people’s choices. Some situations are the work of the evil one and some come from the general state of brokenness found in living between Eden and Heaven. It’s consistent with God’s character to bring birth out of barrenness, hope out of hopelessness, but I’m having trouble with the idea of God causing the barrenness to begin with. 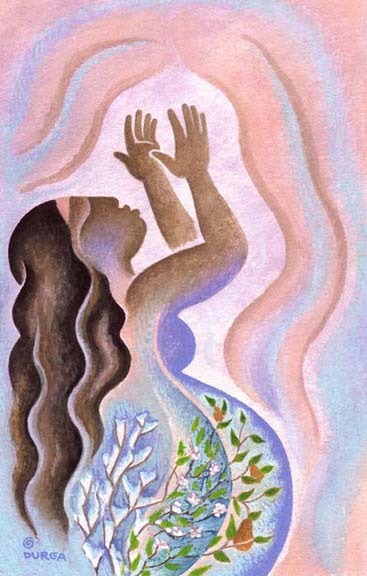 Was the closing of her womb a special case because God had a special plan? Was it merely a misunderstanding of God’s timing? Did Hannah have to pray in order to nudge God’s memory and resulting action? This leads to the second difficult question. Why does God answer Hannah’s prayer with a child while so many other prayers for children receive a “no” answer? Is it because she is more faithful? (as seen in her fervent prayers) She doesn’t doubt? (as seen in her attitude change after her encounter with Eli) Is it because of the bargain she makes with God to give the child over to God’s service? In fact the bargain might not be a bargain at all, but rather an illustration of Hannah’s faithfulness since all first born are to be the Lord’s. God does not request anything of her, yet Hannah makes the vow and sees it through. She brings her precious toddler to Eli, a man who has failed miserably in raising his own children. I know God is not genie awaiting magic words, nor is God’s favor bought with promises or acts of great sacrifice. Yet, I am left with many questions. There are simply no answers to some of the great pressing questions. You continue to live them out, making your life a worthy expression of leaning into the light. Lord of Hosts, there are so many things we do not understand. Our lack of understanding does not diminish your goodness or your power. Help us to follow you even when the situation is desperate and the way unclear. Build in us a faith that seeks you boldly and honestly, that will persevere in the midst of disrespect and ridicule. Teach us to stand and to defend our faith when others question and misunderstand. You are our only hope and salvation. We need you near. Amen. The disciples come to Jesus following a time of intense teaching and service. He responds by calling them to a time of rest. When they return, Jesus is moved by compassion for the crowds who have gathered. This is followed by another time of teaching (serving the Bread of Life). The disciples are also concerned for the crowd, encouraging Jesus to dismiss them for dinner. Jesus turns this moment into an opportunity for miraculous service (serving bread for the body to 5000+ from a few loaves and fish). After this, Jesus calls the disciples again to a time of rest. He also rests himself. The Christian life moves back and forth between retreating for prayer, worship and rest and heading out to share, teach and serve. Time away with Jesus gives us his heart- a compassionate heart, a servant’s heart. We must be well fed spiritually in order to feed others. 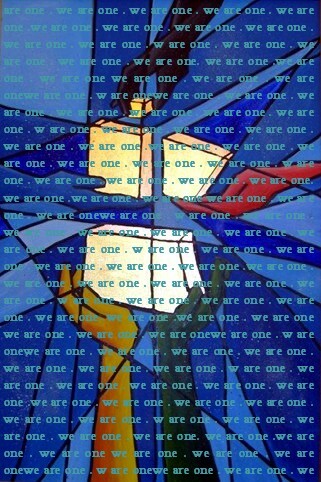 The Spirit told me to go with them and not to make a distinction between them and us. The Holy Spirit moves through Peter (a Jew), Cornelius (Cornelius, a Roman centurion and thus a Gentile), and the Jewish believers in Jerusalem to bring God’s answer and a great work- Jews and Gentiles will come together as one congregation under the leadership of Jesus Christ. These whispers and their responses are radical game changers for the first Christians. The concerns about eating together and being in each other’s homes are abolished. God’s message and confirmation come in different ways, yet all along the way is confirmed by the Holy Spirit. Peter receives this understanding through three visions and by seeing the Gentiles experience what he experienced. 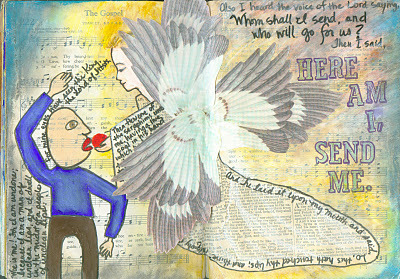 Cornelius receives through an angel and the outpouring of the Holy Spirit. The believers in Jerusalem receive through the power of testimony. Listening for the voice of the Spirit, for the inner voice, involves an act of holy obedience. The word obedient comes from the Latin word audire, which means “to listen.” Listening well goes beyond intellectual activity. Wholehearted listening requires bringing our whole self — body, mind, heart, and spirit — into the act of listening. God’s whispers can lead us to radical life changes. Holy One, what changes do you desire to make in me? I am open. I am listening. Come in whatever way you deem is best for me to understand. Make your will known. Make your desires clear. Confirm them by your Spirit. I will do my best to respond, knowing your grace and strength are with me every step of the way. Through Christ my Lord I pray for the glory and honor of your Name, for the expansion of your will and salvation throughout the earth. Amen. In the midst of trouble, my last instinct is to be still. My mind races to find a solution. I scurry about trying to fix things and control things. God invites me to cultivate stillness as my first instinct. Cleansing breaths are incorporated into this prayer as a means to help us slow down and clear away the distractions that keep us from deep communion with God.